Ricepaper is delighted to publish an excerpt from an interview co-conducted by Tammy Lai-Ming Ho and Jason Eng Hun Lee with the poet Theophilus Kwek. 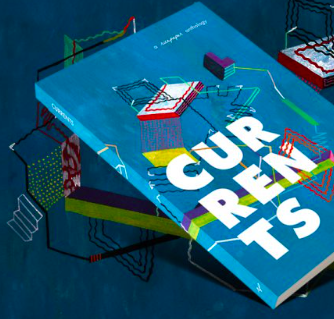 This interview is a part of a larger interview series on Anglophone poetics in the cities of Hong Kong and Singapore. Theophilus Kwek. Photo by Jon Gresham. 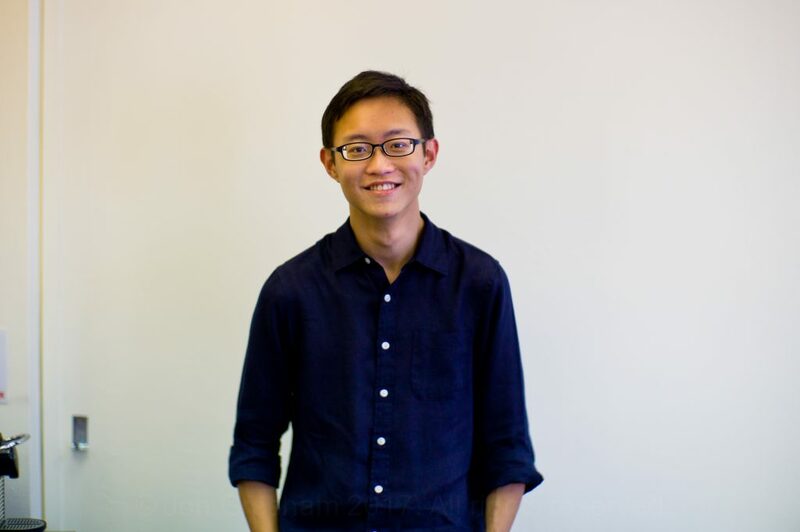 Theophilus Kwek is a writer, editor and researcher based in Singapore. He has published five volumes of poetry, most recently The First Five Storms (2017), which won the New Poets’ Prize and was shortlisted for the Michael Marks Award. He was previously also awarded the Jane Martin Prize and the Berfrois Poetry Prize, and Shortlisted for the Singapore Literature Prize. His poems, essays and translations have appeared in The Guardian, The London Magazine, The Irish Examiner, EuropeNow, Asia Literary Review, and elsewhere. A former President of the Oxford University Poetry Society, he now serves as Co-Editor of Oxford Poetry. Can you identify certain poems/collections in your oeuvre that you think best represent your writing about your home city of Singapore? How I write about Singapore keeps changing, so there isn’t really a representative set. But I think the four ‘National Day’ poems I’ve written are a pretty good indicator: ‘9th August 2013’, ‘Weight’, ‘Foreign Relations’, and ‘Fifty-One’. They’re all quite different poems, but they all compare the city and family in some way, and also try to measure the mutual gaze between the city and her children—are we looking past each other? Do we really recognize each other? Through its pasts. Cities are by nature modernizing inventions, and so in their growth and increasing sophistication they always set themselves up against what’s already happened. It’s the poet’s task (and the responsibility of all who are committed to complicating and exploring narratives) to give voice to those histories. How does your writing contribute to the narratives of your city? As a young, English-speaking man from the city’s cultural majority, there are always several gaps that must be crossed before I can contribute in a way that nuances, resists, or rebalances the city’s dominant narratives—and always the risk of doing so imperfectly and insensitively. I also instinctively distrust narratives that stake a claim to a place, especially where that place is also a young state that claims an outsize presence on the world stage—and accommodates relatively little dissent. I suppose what I am saying is that though I cannot escape being a Singaporean poet, I am very reluctant to be a Singapore poet. Do you see Singapore as an inclusive or alienating place, or both? The city makes no secret of the fact that any outsider’s experience of inclusion or alienation depends on one’s race, education, skill-set, and political position—very much actually the same metrics applied to citizens, but in different ways. In this sense, there are very clear ways to ‘earn’ inclusion; there are also very clear boundaries beyond which one will always be alienated. This is baldly visible in the city-centre, where there are clear zones of interaction for expat bankers, foreign domestic workers, Singaporean ‘heartland’ shoppers, etc—and the various groups rarely mingle in public life. 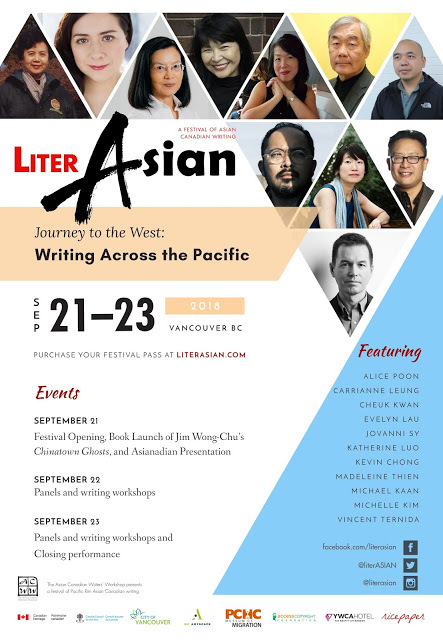 What issues or difficulties have you faced in writing about Asian identity? I’ve responded to a similar question recently here, and my thoughts haven’t changed much, except of course to stress that the ‘Chinese experience’ doesn’t even begin to cover the ‘Asian’ one. Two added thoughts: First, as I mentioned in the Cha interview, every writer has (and rightly so) a different ethic of responding to her ethnicity, and this is a diversity we should celebrate. Second, the broader the term is (e.g. ‘Asian’), the more it begins to be defined by what it is not—‘Asian’ writers thus have to navigate what it means to be not-European, not-African, and at the same time not-just-Singaporean or not-just-diaspora, etc. If the city of Singapore could answer your questions, what would you ask it? ‘Why do you keep looking in the mirror?’ For me, many of Singapore’s issues come down to how self-obsessed it is as a city: from a brash sense of exceptionalism on the world stage to a curt refusal of its obligations towards others, especially refugees in the region. Even the more critical and reflective currents of thought within the city are directed inward, in the hope of creating an organic local identity or making the city’s internal space a more egalitarian one. These are important motivations, but in pursuing them the city never escapes its own narrow orbit. Also let’s consider the reverse. What would your city ask you? Why? ‘Why don’t you want to stay?’ The city has always had a sense of insecurity towards ‘losing its people’: whether to physical emigration, or to external cultural influences, a waning sense of patriotism, the rise of transnational identities (including religious ones), etc. Every outward gaze is registered with a lover’s envy. Do you find that living in a city nurturing of or stifling to your creativity? I love cities, because I love people. There are so many lives to learn about and explore in an urban setting—so it almost seems there are more layers of history in a city than elsewhere, even though that’s obviously untrue, and the product of a deeply unequal history in itself. That said, there’s a bit of me that needs to be outside of the/a city, looking in, both geographically and metaphorically, to be able to process my observations about it.